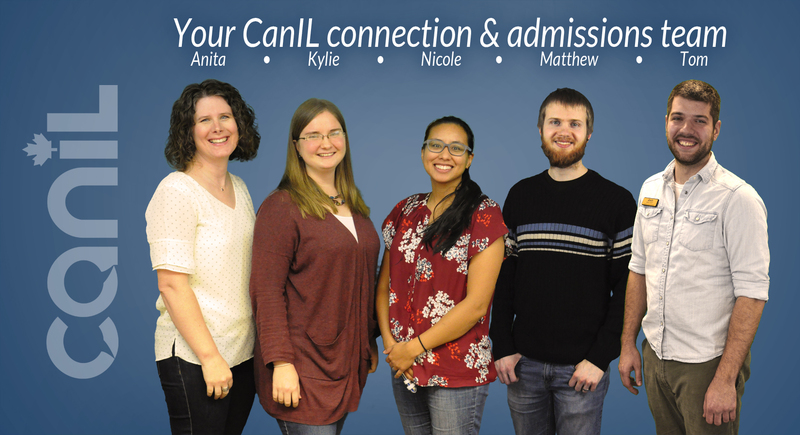 On behalf of our CanIL connection & admissions team, we are always super excited to meet new prospective students. We look forward to helping you discover if studying at CanIL is a good fit for you. What are your interests in linguistic studies? Linguistics provides many different opportunities. Are you looking for a degree program (like our Bachelors and Masters degrees)? Or are you looking for a non-degree program (like our introductory summer linguistic program, or our specialized training tracks)? Find more info here. Are you just starting your post-secondary education, or have you already done some training that can be incorporated into your linguistic training? All students are eligible to apply for our generous financial aid. Contact admissions@canil.ca for more information, and check out the Financial Aid page here. We would encourage you to consider visiting our campus. We can arrange for you to sit in some of our classes, and participate in any campus events that are happening. There are many housing options in the area, and our linguistic students can often find very reasonable housing during the regular school year. If you come for our summer program, housing is available on-campus. If you are not Canadian, and you are planning on studying in Canada for more than 6 months, you are required to get a study permit. It is not difficult to get, but can take up to 10 weeks for some countries. Find more info here. Call us toll free at 1-888-513-2129 x3945 or send us an email at admissions@canil.ca. We look forward to talking with you!